Cremica the food product conglomerate is all set to enter the bar syrup category in association with Maison Routin of France with the launch of 'Bonheur', a specialized range of syrups which will be targeted at bars and cafés. 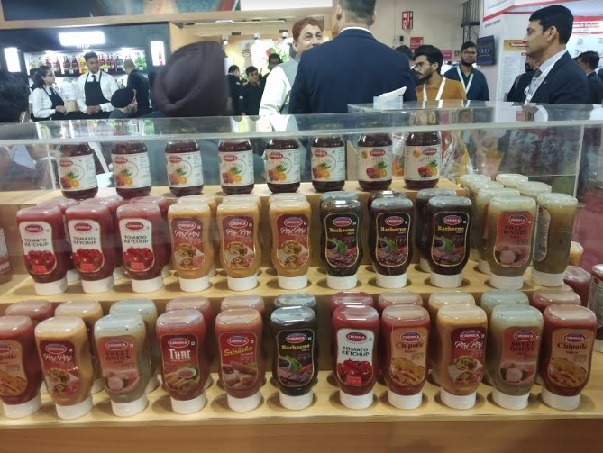 The syrups were unveiled at AAHAR 2019, India’s biggest food and hospitality exhibition which is underway at Pragati Maidan, New Delhi. Bonheur syrups will delight the Indian market with their perfect balance of French aromas matched with local palate. Cremica, known for its innovative offerings and commitment to quality unveiled an array of products, the company has come up with 9 new flavors of Mayonnaise which is combination of both classic Indian and International flavors to meet the discerning taste of Indian customers. For the health conscious people, Cremica has an exclusive offering in the form of Sugarlite Salad dressing, which comes in 14 different flavors and is low on glycemic index, contains healthy sugars and has omega balance. Cremica Culinary team prepared some scrumptious recipes at the “live kitchen" for the visitors of Aahaar 2019, so that they can check out the lip smacking taste of the new products. Cremica’s newly launched authentic Mediterranean Tortilla wraps were an added attraction. The exhibition is open to visitors from 10 a.m. to 6 p.m and will conclude on March 16. Cremica is an iconic brand of India, registering a robust growth rate per annum. In the course of the past three decades, it has established itself as a food products conglomerate, leading the food processing business through its range of products, its internationally certified production facilities, the consistency of its quality and its unmatched expertise in the industry. Cremica is a leader in Mayonnaise and Sauce categories in India and is known for its unique recipes and its state-of-the-art research and production standards. Cremica, a name that has always spelt quality and great tasting food, is fast becoming a household name in India. It is also a preferred vendor to some of the largest food giants in India like McDonald’s, Pizza Hut, Domino's and Subway, consistently scoring high on international quality tests and taste parameters.